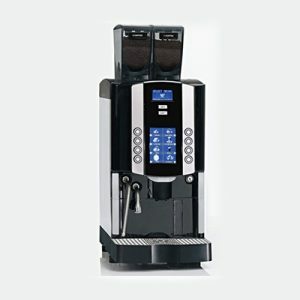 Italian design and build, this superbly stylish table top coffee machine is a superb choice. 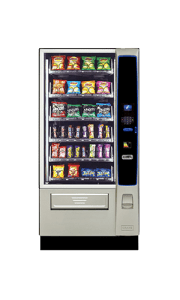 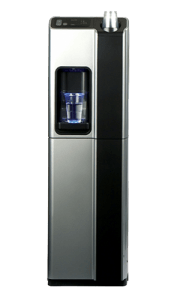 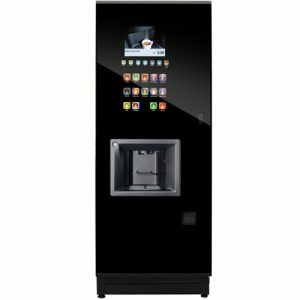 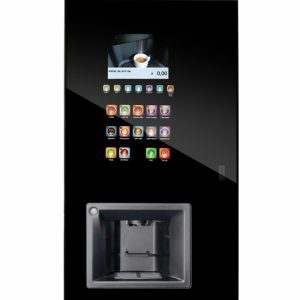 Available with bean to cup options and instant coffee the Cino Grande XS is a popular choice with offices and for locations where the machine is on show. 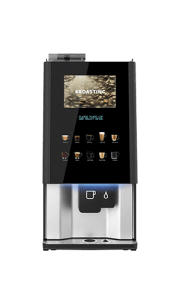 Clearly laid out with simple button selection for the 10 beverage options. 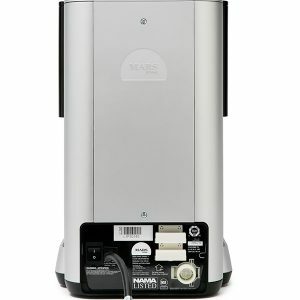 LED backlighting to the front illuminates the stylish deco inspired design. 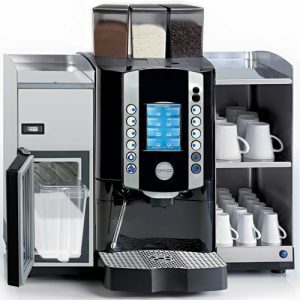 It’s not all style with no substance, this machine offers one of the best coffee’s in the market place. 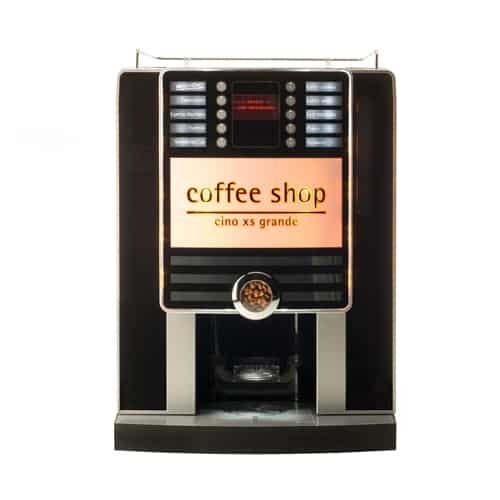 Drink selections include espresso, cappuccino and many more of the continental favourites. 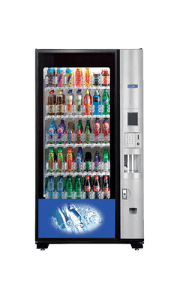 Simple in construction the machine is easily maintained and cleaned and ideal for locations with or without direct plumbing. 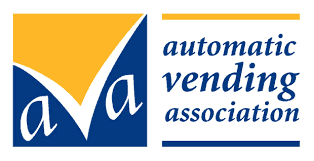 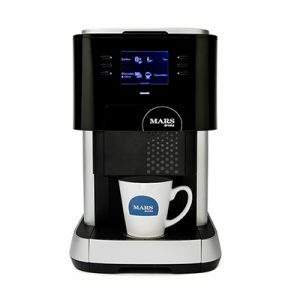 Available with a base cabinet featuring manually dispensed cups and more than adequate storage. 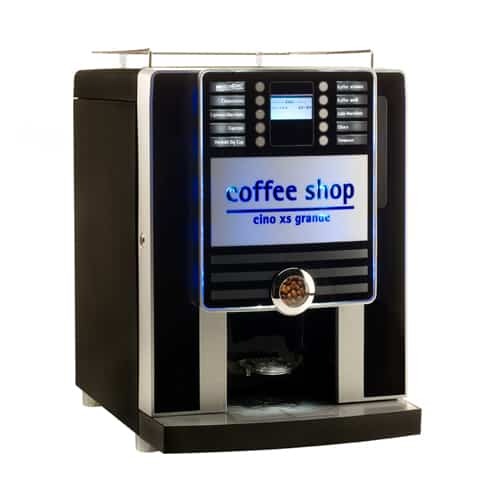  Also available with a coin mechanism, ideal for providing coffeeshop style beverages in your location.